If you use Office 365 but are not yet familiar with Skype for Business then this book is for you. 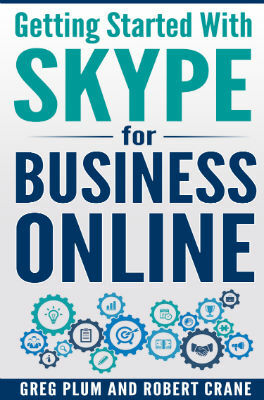 This book is designed to get you up and running with Skype for Business Online fast!. It takes you step by step through using everything in Skype for Business Online, showing you each item in detail, including screen shots at every stage. This book will help you use and better understand the capabilities of Skype for Business Online and the power that is can bring your business. Most importantly, it will show you how to be more productive by using the tools you already have to communicate better. If you use Office 365 but are not yet familiar with Skype for Business then this book is for you. This book is designed to get you up and running with Skype for Business Online fast! It takes you step by step through using everything in Skype for Business Online, showing you each item in detail, including screen shots at every stage. This book will help you use and better understand the capabilities of Skype for Business Online and the power that this can bring your business. Most importantly, it will show you how to be more productive by using the tools you already have to communicate better. If you use Office 365 but are not yet familiar with Skype for Business then this book is for you. The content of this book is aimed at end users not administrators of Skype for Business Online.